and is one of a trio that I am exhibiting at The Intellectual Property 2017 Exhibition at The Plant in Station Road, Durban. 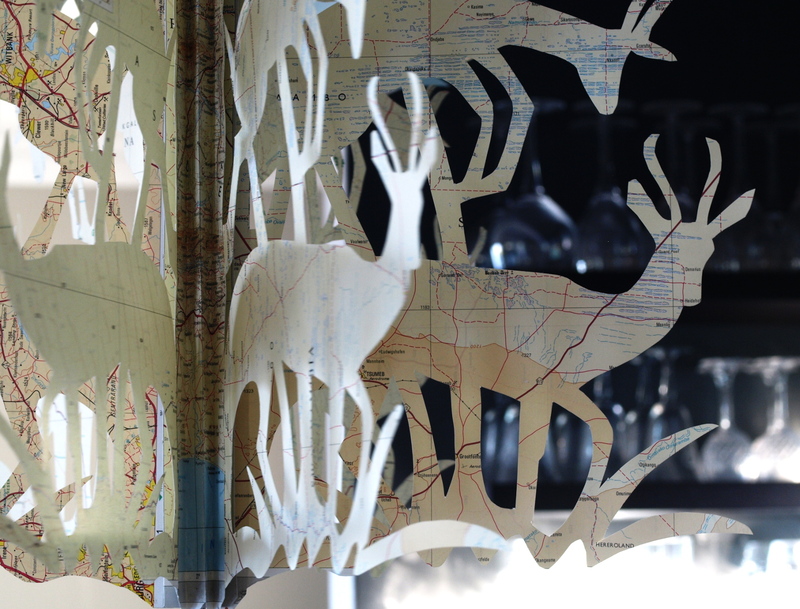 I hand-cut the paper panels with a blade and with scissors. I finished the top and bottom points off with beater blades that ~I once again sourced at my local charity store. They were mounted with lighting for the exhibition, so fall loosely into the chandelier range. 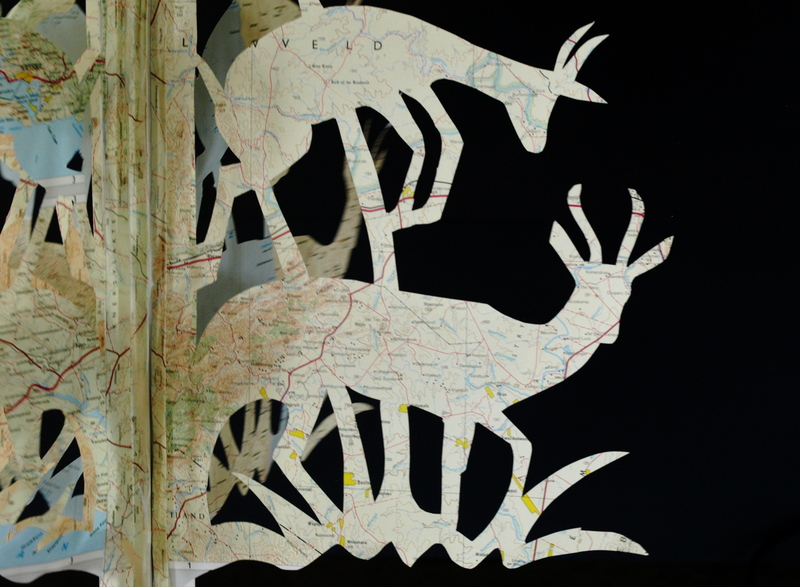 I enjoy the softness and the spikiness of the springbok form, especially when massed together on the mobile. 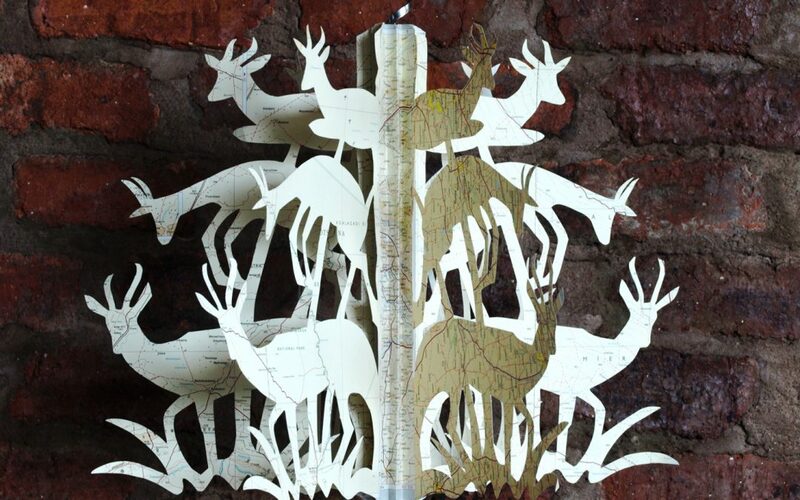 I plan to laser cut the pattern in the future – and create these wild-life mobiles in more durable material.